Kenneth Landau was a comic book artist and cartoonist for over 40 years. His career began in 1941 and continued until finishing with the Smurfs, and retiring in late 1988. Still talked about to this day on multiple blogs. 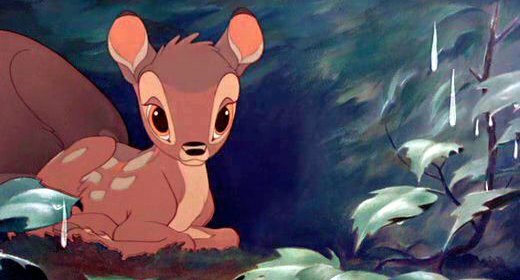 At age 15, he dropped out of high school to begin work at Disney Studios doing the raindrops in the "April Showers" scene on Bambi. His father, Otto Landau worked in the orchestra as a concert violinist with Disney at the time, and was able to get Ken his first job as an in-betweener as they were called. He knew Ken had a special talent and watched him create multiple comic strips of his own from the time he was very young. Ken stayed on with Disney for a couple years and worked on many cartoons usually doing Goofy and Pluto from 1941-1943. In 1944 Ken was drafted into the Army, but once he was there he started a comic strip a comic strip called "Lucky" for the Sheppard Field Army newspaper. It was very popular and it gave the servicemen something to laugh about. They felt he was somewhat famous because he had worked for Disney Studios, and they published an article about him soon after he arrived. They also displayed some of his artwork in the gym for all to enjoy. He was only 19 years old when he met his future wife at the USO while he played Boogie Woogie on the piano. When he returned home with his new wife he began creating multiple comic strips of his own for what he felt would be his future career working on a comic strip. After trying to find work in Los Angeles, he finally decided to go to New York at age 23, to find work where the majority of the big comic book publishing companies were located at the time. Ken was hoping to sell one of his long worked on comic strips called Rock Beaumount. Working on comic books would be his first big break. Ken was picked up by a big publishing company in New York and began working on Forbidden Worlds and Adventures into the Unknown, among many other comic books. Some are still talked about to this day on many comic book blogs. He was the first artist to work on their 3-D comic book. He was one of those artists that was better than most but never made it as big as he should have. Ken went on to work for all the top animation studios such as Hanna-Barbera, Depatie-Freleng, and Disney for over thirty years. The book I have written about Kens life story, and his many struggles with work and family tragedies, should be published by late 2018. It tells the story of what Ken went through, the ups and downs of the business while hoping to get his big break. Ken ended up creating and delving into three X-rated comic books in the middle of his career under a pseudonym which sold pretty well..
Ken wasn't the average comic book or cartoon artist. He was not a nerd at all but a loud, funny jokester that drank, smoked and gambled often on the horse races. Ken wasn't perfect, but his coworkers in the studios loved him because he was usually the life of the party. He brought humor and change into the studios when boredom set in and often whatever studio he was working for, he would sometimes blow off steam by drawing the funny innocent cartoons he was working on into funny sexual scenarios just to get a laugh from the other artists. The book will tell some funny and shocking stories of his life in the studios. Thanks for visiting my website about my father. I am so excited to share his work with the world. Please sign up for the mailing list to get notifications on new items to be sold of his one of a kind, retro, classic artwork.